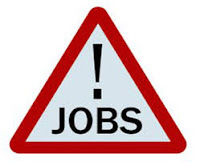 NMDC Recruitment 2015: National Mineral Development Corporation (NMDC), Bangalore has recently published the notification regarding the recruitment of the 262 vacancies in the posts such as Junior Officer (Mechanical / Electrical), HEM Mechanic Operator, Electrician Trainee, Technician, Junior Stenographer, Junior & Maintenance Assistant and Field Attendant. Candidates are advised to read the advertisement clearly before going to apply for this NMDC Limited Recruitment 2015 and they should apply for this NMDC Recruitment 2015 before the last date for the submission of the application form on 25th July 2015. Educational qualification: Candidates should have the educational qualification based on the post applied and see the notification for clear information. DD should be drawn in favour of NMDC Limited, Donimalai Iron Ore Mine, payable at State Bank of Mysore, Donimalai / Canara Bank, Donimalai. NOTE: SC/ST/PwD/ Ex-Servicemen candidates are exempted from application fee. First open the official website by clicking the below link. Then download the the application format. Take the printout of the application form and fill all the details. The application in prescribed format should be sent along with self attested copies of all necessary certificates. Applications received after 25.07.2015 or incomplete in any respect will be rejected without any intimation. Address: NMDC Limited, Donimalai Iron Ore Mine, Donimalai Township - 583 118, District Ballari, Karnataka.